As Microsoft Office is one of the most commonly used software suites in the world, you’re likely to find it in many places of work. 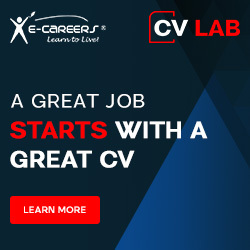 Having this impressive set of MS Office courses on your CV will surely give you a clear advantage when applying for positions. It’s also a useful course for any business owner or student, and many people use MS Office programs for personal use at home. Within the 15 courses are a whopping 353 lessons, so you can have confidence in the content that’s covered. All 177 study hours can be completed online at a time and place that’s convenient for you. Work through the 15 courses at your own pace to gain incredible all-round Microsoft Office skills. Begin with an introduction to MS Word 2016 to familiarise yourself with the program interface and how to navigate within it, learn to enter basic text and look at some basic functions, tools and settings. Continue with MS Word 2016 Intermediate and learn to format effectively, apply templates, work with tables and insert graphical objects. Finish your MS Word 2016 learning journey with the development of advanced skills such as splitting documents, inserting a title page and watermark, more in-depth work with table and a look at multiple user tools. Start with a basic introduction to MS Excel 2016 where you’ll familiarise yourself with the program, its documents and how to control them. Create tables, learn to work with the cells, create a chart and master basic calculations. Develop Intermediate MS Excel 2016 skills and broaden your basic knowledge by the application of logical and text functions. Learn the advanced options of sorting and filtering data, how to search and how to split text entries in tables into individual data placed into columns. Move on to MS Excel 2016 Advanced and focus mainly on the creation of charts and automation of the work in the program by using macros. Also look at the insertion of graphical elements, printing and protecting and sharing the workbook content. Begin your MS Powerpoint 2016 learning journey with a look at the user interface and various views of presentations. Also learn to enter text and graphics, insert new slides and change the layout. Continue with Intermediate MS Powerpoint skills such as inserting and editing additional objects, organising slides and examining the presentation themes in details. Complete your MS Powerpoint 2016 study with advanced skills such as performing the last adjustments in a presentation, working with animation effects and settings, setting the properties of the presented slide and more. Move on to an Introduction to MS Outlook 2016 and learn to send, receive, print and organise messages within the program interface. Develop Intermediate MS Outlook 2016 skills including learning to use the Calendar, Tasks, Notes and Journal folders. Take your understanding of MS Outlook 2016 to an advanced level and learn to organise your appointments using the Calendar, assign tasks to colleagues, import and export Outlook data and share information with other users. In MS Access 2016 Introduction you’ll familiarise yourself with the terminology and the basics of working in the Access program, including creating tables, simple forms and reports. Continue with Intermediate MS Access 2016 study including learning to create calculated fields in queries that operate with functions. Also learn to create forms in Design view, design and edit reports and perform calculations. Finally, develop Advanced MS Access 2016 skills including working with action queries and macros, importing and exporting objects and the normalisation of data. Bite-sized modules make it easy to fit in around your other commitments. Study whenever and wherever is convenient for you. All you need is a compatible computer or device and internet access. Gain all-round knowledge of the Microsoft Office suite. Interactive lessons make for engaging learning. Quiz questions will help cement your understanding of a topic. Microsoft Office is the most popular and widely purchased software in the world, making MS Office skills transferrable to many jobs and situations. Course library includes MS Word 2016, MS Excel 2016, MS Powerpoint 2016, MS Outlook 2016 and MS Access 2016. Work from beginner to advanced levels in each program. An excellent purchase for those looking to get ahead in an office or admin-based position. A convenient buy for business owners looking to train themselves or their staff in MS Office 2016. Add knowledge of the five key Microsoft Office programs to your CV to ensure it stands out for selection. Thank you for requesting our demo course on 'Microsoft Office 2016 – Library of 15 Interactive Courses'.